For many RV owners, autumn is a favorite time of the year to go camping. There’s a nip in the air in the northern states, perfect for evenings spent around a campfire. In the South, daytime temperatures have dropped to near perfect 70s and low 80s. It’s no wonder that families enjoy getting out in the RV on fall weekends. 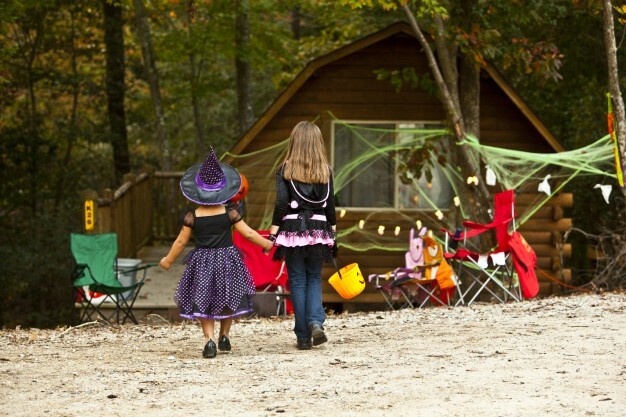 To add to the fun, campgrounds and RV parks all over the country are now holding Halloween-themed weekends in October. Dale Hollow Lake State Resort Park – Burkesville, Ky. If you want to avoid the ghoulish fun, enjoy boating and fishing (boat ramp and trailer parking available), hiking, bird watching and cave exploring. Horse owners can ride on many miles of paths and even camp in a separate equine campground! Hagerstown/Antietam Battlefield KOA – Williamsport, Md. Note: as Halloween approaches, the weekends get scarier! Not a fan of Halloween? They also have cable TV and WiFi, a new walking path along the C&O Canal and canoeing and fishing opportunities right in the campground. Eugene T. Mahoney State Park – Ashland, Neb. After the Halloween fun is over, enjoy beautiful views of the Platte River from the Mahoney Grille restaurant at the park’s lodge. Yogi Bear’s Jellystone Park/Sioux Falls – Brandon, S.D. 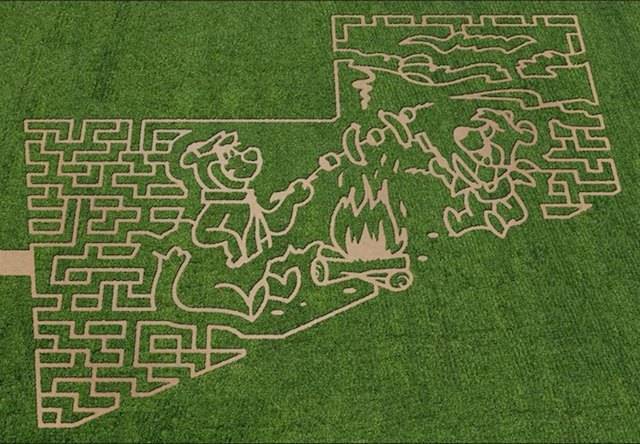 Seven-acre Corn Maze – every weekend in October, includes jumping pillow, wagon rides and visits from Yogi Bear™ and friends. Friday evenings, Saturday noon to 9 p.m. and Sunday afternoons. Fright Nights at the Corn Maze – October 31 and November 1: Extra spooky corn maze experience. Note: A nominal fee may be charged for the Corn Maze. Please check with the campground for further details. If you want some peace and quiet away from the excitement, this campground has WiFi, an indoor theater and a game room. You can also rent golf carts or pedal carts, play basketball, volleyball or mini-golf. Normandy Farms Family Camping Resort –Foxboro, Mass. Note: A nominal fee may be charged for the haunted house and spooky hay rides with partial proceeds donated to charity. Please check with the campground for further details. Tired of Halloween? They also have horseshoes, Bocce, shuffleboard, basketball, volleyball, fishing and a dog park. If you’re looking for a truly spooktacular RV destination this October, give one of these great campgrounds a try. Remember to call ahead to check for availability, especially if you want hook-ups or other amenities. If possible, reserve your campsite ahead of time!